Musselburgh has had a swimming club in some shape or form since 1886. Musselburgh Amateur Swimming Club in it’s present form has been in existence since 1994 when the Club swam at Loretto School and in 1995 moved to the Sports Centre where it is today. The club actively participates in competitions throughout the year and seeks to develop swimmers to their potential. As a club we are dedicated to give all children the opportunity to improve their swimming skills. We have had lots of success, and have produced swimmers who are competing at Scottish and UK Level. We also have an excellent policy of inclusion for special needs swimmers (we are the only club in East Lothian to do so), who swim alongside the rest of the club. They have also had tremendous success, and we have sent swimmers to the Special Olympics and the Transplant Games. The club has anything up to 120 swimmers ranging from 7 to 18 years of age, and a team of dedicated coaches and poolside helpers, M.A.S.C. prides itself on being able to offer every swimmer the chance to enjoy the sport at a level appropriate to them. Our Coaches and committee are dedicated to give all swimmers the best opportunities to improve their swimming and to have some fun as well. M.A.S.C. 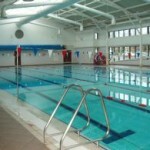 is affiliated to the Scottish Amateur Swimming Association, the governing body of the sport in Scotland. We also have our own Constitution and Code of Conduct designed to conform to the S.A.S.A. requirements and guidelines. So why not come along to one of our training sessions and have a chat to one of the committee members at the table in the cafe area or to one of our dedicated coaches, organise a trial and become one of the Musselburgh Marlins family!